Over thousands of years old, wine has had a rich and varied history and remains a staple on the global dining table. Similarly ‘vintage’ are wine merchants, who have been searching for good quality wine and selling it for centuries. Its longevity has meant that perceptions of the drink have altered over time. But what does ‘being a wine merchant’ actually mean? What does it involve? What do you need to become one? And could you make a career out of it? How do you define a wine merchant? One aspect that has drastically changed in the last forty or so years is the emergence of online wine merchants, as opposed to shops or stalls. The main positive of this is the avoidance of rent (though a warehouse would still be needed to store the products). However, having an actual premises has it's perks: mainly the opportunity to interact with your customers on a more personal level, building up customer loyalty. I’m interested in wine, but have no prior qualifications. Can I still become a wine merchant? It would be preferable to gain qualifications or take part in wine-related courses so that you can gain as much knowledge about the industry as possible. If you’re selling wine to clients, you need to know what you’re talking about. The best, and most recognised, qualification is from WSET: the Wine and Spirits Education Trust. 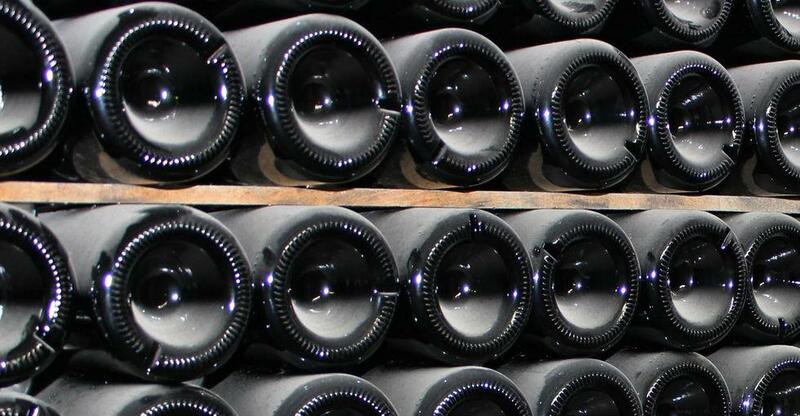 Level 1 is the beginner level with an 'introduction to sommellerie'. Level 4 is the highest qualification and constitutes the 'Diploma': considered to be the ‘driving licence’ for anyone wishing to work in the business or progress into management level roles. The Diploma is used as the stepping stone to attempting the ultimate Master of Wine qualification (though you need at least five years’ worth of trade experience before applying for entry on the program). Where would I start in setting up a wine business? First of all, make sure that you plan every step you intend to make in setting up the business. Seek as much advice as you can – take a look at the Federation of Small Business (FSB) website as well as Vince Cable’s British Business Bank. The amount of finance you’ll need to set up or buy your wine business will always be more than what you’d expect, so make sure that you do have extra just in case. Take a look at the government website on finance and support for your business. Can I really compete with bigger wine retailers? Many independent wine shops have found it difficult to compete with larger operations in recent years. And even the chains have felt the strain: the UK's much-loved Oddbins seemed to be on the brink of closure for a while during the recession. However the independent wine trade seems to be holding it's own, despite the challenges. According to a recent study by wine intelligence and trade magazine The Wine Merchant, specialist wine shops have grown in popularity, with a 50% increase since 2007 in the UK. Reportedly, the sector is now worth around £500m per year in sales. Graham Holter, founder of The Wine Merchant, told Decanter.com at the end of 2014: ‘There's no doubt that some of the independents are marginal; lifestyle businesses, if you like. Yet over the past five years there has been a net increase in numbers in every month except one, in the height of the recession. There are always more stores opening than closing. Holter also believes that wine shops have a greater chance of survival if they broaden the amount of services that they offer, for example a 'wine school' (wine tasting evenings), and maybe a small bar - as well as a shop. The Wine Merchant study reports that one in ten women still feel too intimidated to step inside an independent wine shop and, it seems, that people in general feel less self-conscious and more confident buying wine online. Finding a way to embolden potential customers is a sure-fire way to improve profit margins if you're running an independent wine shop. While the wine industry may be a tricky one to break into, there are some outstanding success stories of entrepreneurs taking the reins of wine retailers entrenched in rich history such as Gordon’s Wine Bar and the Troubadour, or successful businesses that are now franchised such as Spirited Wines and expanding London-based independents such as Bottle Apostle or Hedonism Wines. Do you think you have what it takes to join them and become a succesful wine merchant? Take a look at our wine businesses for sale.